This classroom CSTI HAZMAT 16-Hour course provides Hazardous Materials Incident Commander training, for those who will formally assume command of hazardous materials emergencies. This course may apply to firefighters, military personnel, private industry emergency responders, government employees, and others. This training complies with the HAZMAT Incident Commander training requirements under Fed-OSHA, Cal-OSHA, and NFPA 472. This course is provided in a classroom setting at our facilities and is typically scheduled during a 2 day period for 8 hours per day. We can also provide this training on-site at your location when hosted by your employer. Request a quote for onsite training. Our CSTI HAZMAT Incident Commander Training 16-Hour classroom course is designed for persons who assume command of HAZMAT emergencies, taken over from the First Responder on scene. This course provides the training needed in order to take control of HAZMAT incidents and the working Incident Command System (ICS). The training includes learning the practical and legal requirements, and also provides decision-making training, though tabletop exercises, case studies, and class activities. HAZMAT Incident Commanders are required to be trained in accordance with OSHA HAZWOPER regulation 29 CFR 1910.120(q), and also must have annual refresher training of sufficient content and duration to maintain responder competencies. This course complies with the HAZMAT Incident Commander training requirements under Fed-OSHA, Cal-OSHA, and NFPA 472. This CSTI 16 Hour HAZMAT Incident Commander course, when combined with the below prerequisite courses, meet the 24 hour training level requirement for HAZMAT Incident Commander. Find additional information on OSHA HAZMAT Training Requirements. This course is taught by a CSTI certified outreach instructor and includes up-to-date, high quality training created with your safety and learning as our top priority. Currently, we only offer this course through a classroom training format. You can enroll in the classroom courses offered at our facilities through open enrollment. This course is typically scheduled during a 2 day period for 8 hours per day. The training will take a minimum of 16 hours to complete. View classroom training schedule. 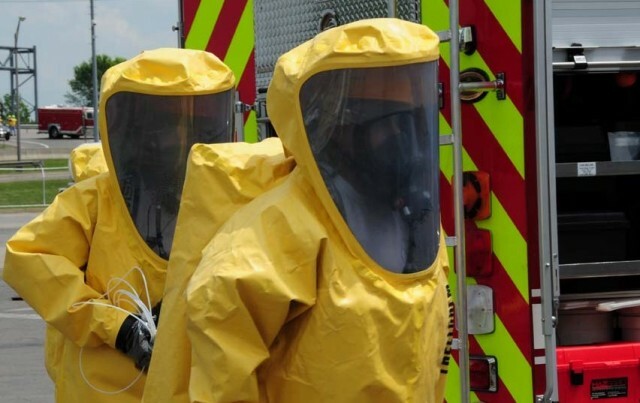 We can also provide this HAZMAT Incident Commander training on-site at your location when hosted by your employer. Request a quote for onsite training. Discount Offers Available for Multiple Student Enrollment. Once this HAZMAT Incident Commander course is completed successfully, you will be given access to download, save or print a temporary Course Completion Certificate which is provided in PDF format. You will also be issued a state certificate from California Specialized Training Institute (CSTI)/California Emergency Management Agency (CalEMA). The final certificate takes up to 3 weeks for delivery. Training certification will be granted under California Government Code Section 8574.19-23 and California Code of Regulations Title 19, Sections 2510-2560.